Just as there are elemental properties to the your planetary structure—a periodic table that identifies the foundational elements of your physical world—the energetic elements of the universe can also be identified. The universe sings the “Ohm” which is comprised of twenty-two distinct vibratory frequencies that create a resonance encompassing all of creation. These twenty-two energies of creation are the notes that all “songs” of physical existence are created from. 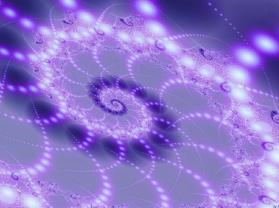 The convergence of these resonant energies brings forth physical manifestation. When you create, you are like the composer choosing a unique combination of notes to create a specific melody; it is yours to create your own symphony of life. As you well know, everything is energy. Energy is conscious. But what is energy other than the vibratory frequency of consciousness? In your language, you have twenty-six letters that you combine in different arrangements to be able to write everything that you wish to say. The universe has twenty-two resonant energies in which to express everything it wishes to create. The resonant energies of the universe is the alphabet of creation. Once in a while you will read an author who captures you, inspires you and you become involved, changed in some way. With the alphabet of the universe, the very words create realities. That is why it is said in your holy writings, “The word was made flesh.” For when you speak from the consciousness of the twenty-two tones of creation, thought will manifest, paradise will be evident, and time and space will slip away in the light of eternity and infinity—and you will truly be the authors of your life and the authors of your world.